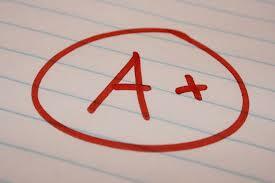 An A was always the gold standard. Every student knows that the better the grade, the greater the reward. Whether the reward is a gold star, a trophy or a scholarship, the way to earn that was always to get that A.
It’s no different for schools. Since 1999, schools have worked to measure student learning gains and to objectively measure teacher and school performance. An A school brings recognition, prestige and financial gain. But, measuring school accountability is more difficult than anyone thought it would be. And, as recent legislative decisions show, may carry huge political consequences. The Florida Board of Education voted to reinstate a “safety net” which will pad student test results and prevent any individual school’s grade from dropping more than one full letter. That move reduced the number of failing schools from 262 to 107. In 2012, 53 schools received F grades. The formula used to calculate school grades is complicated. It measures students’ scores on standardized tests and their year-to-year learning gains. Board members voted 4-3 in an emergency conference call with Education Commissioner Tony Bennett to reinstate the safety net. “I don’t understand when it became acceptable to disguise and manipulate the truth simply because the truth is uncomfortable,” said Sally Bradshaw, another former Bush chief of staff. The frequent changes in school grading formulas confuse parents and community members and undermine the system’s credibility. Credibility which is in even greater danger as emails obtained by the Associated Press suggest that Bennett may have adjusted the school grade formula that he helped establish in Indiana while he was in charge of schools there to benefit one school. The emails show that he moved quickly to make changes to the school grading system to ensure that Christel House, a charter school run by Christel DeHaan – a major Republican donor, who also donated to Bennett’s campaign – would receive an A, instead of the C that it would have earned under the state’s original formula. And it is also true that superintendents across the state of Florida asked Bennett and the Board of Education to reinstate the safety net for school grades, which still plummeted with a record number of F-rated schools, without taking into account high school grades, which won’t be released until later this year, because high schools grades are even more difficult to calculate because they include other variables, such as graduation rates and enrollment as well as success in Advanced Placement and dual enrollment courses. School grades have gone down, despite the fact that students’ test scores have held steady and, in some instances, even improved, which only add to the confusion. If student academic achievement is improving, many parents wonder why school grades are going down. The answer is that Florida continues to raise the bar as it strives to better prepare students for college. And, to complicate matters even more, the actual accountability formulas also continue becoming more and more complex. In the last 36 months alone, there have been over 36 changes. And there are more changes on the horizon as Florida moves towards the new, more rigorous Common Core standards, born out of President Obama’s Race to the Top education initiatives. Florida is one of the states that signed up to work and develop the new standards and the Partnership for Assessment of Readiness for College and Careers (PARCC), the standardized test set to replace the FCAT. However, in recent weeks, more and more states have decided not to sign on to the PARCC. And, Florida is on the fence. Just last week Florida Senate President Don Gaetz and House Speaker Will Weatherford sent Bennett a letter urging the state to abandon the PARCC, as Indiana and several other states have. They cite concerns including the amount of time students will test and the cost of administering and grading the exams, which replace paper-pencil bubble in the answer tests with much more stringent exams where students, as young as third grade, are asked to write essays analyzing and synthesizing information. These tests cannot be graded by computer, also increasing their cost. Although there are plenty of democrats as well as parent and teacher groups who oppose implementing new common core standards, most of the states who have decided to opt out of the PARCC are republican states with republican governors. Whether Florida does decide to join the PARCC or work to develop another test, it is unlikely that the formulas used to calculate success – and the teacher merit pay and school funding that depend on that success – will become any more straightforward or any less political. ← Is there a ‘Humanities Crisis’?